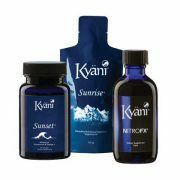 Kyani Team Abundance are independent Canadian distributors for Kyani. Fast shipping in Canada and worldwide. Your order is shipped fast from your country of residence. Differences between Water and Fat soluble Vitamins? The difference between water and fat soluble vitamins comes down to how they function within the body. Fat soluble vitamins require fat to be absorbed and are stored in the liver and fatty tissues when not in use. Fat soluble vitamins include Vitamins A, D, E, and K. Only a small amount of fat soluble vitamins is necessary to preserve good health, although Vitamin D deficiency has become a growing concern. Vitamins are a great example of the phrase “too much of a good thing”. While certain vitamins can be taken in high doses without any negative effects, some vitamins can be dangerous. Read on to learn how to know the difference. Vitamin A – Vitamin A promotes healthy vision, supports the production of new cells, boosts the immune system, and supports bone growth. Vitamin D – This vitamin, also known as the ‘Sunshine Vitamin’, possesses a wide range of benefits in the body. Its positive effects support heart health, blood sugar levels, the immune system, and bone strength. It also helps the body absorb calcium and promotes a more positive mood. Vitamin E – This antioxidant helps boost blood circulation, support the immune system, protect cells against damage, and promotes tissue healing. Vitamin K – Although it is sometimes referred to as the “forgotten vitamin”, Vitamin K possesses blood clotting capabilities and also helps support strong bones. 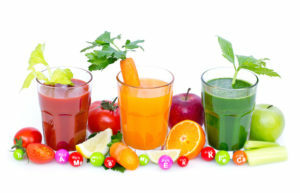 Water soluble vitamins dissolve quickly in the body since they are dissolved by water. Whereas fat soluble vitamins can be stored in the body’s tissues, the body cannot store water soluble vitamins and simply excretes any extra. Since our body needs these vitamins, it is important to consume them on a regular basis. Water soluble vitamins include B vitamins, Vitamin C, and Vitamin A in its Beta-Carotene form. Vitamin C – Famous for its ability to fight against colds, This powerful antioxidant is famous for its ability to strengthen the immune system and fight off colds. It also helps promote heart and eye health and ward of signs of premature aging. B Vitamins – The various B vitamins help convert food to energy, maintain heart function, promote a healthy nervous system, create new red blood cells, support cell growth, promote nerve and muscle function, support healthy skin, hair, nails, and eyes, promote a healthy metabolism, aid in growth and development, aid in the production of serotonin, support healthy brain function, prevent certain types of anemia, and more. 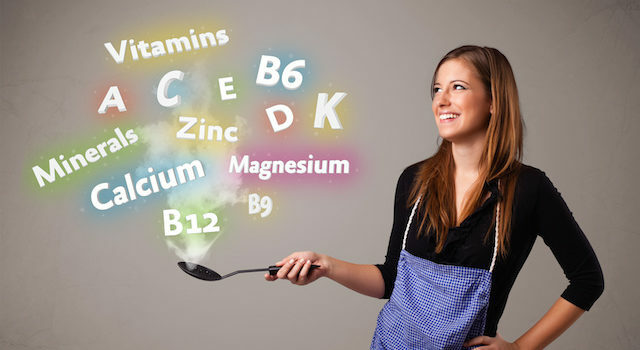 The best way to obtain vitamins and minerals is through a healthy, balanced diet, but in today’s society it is still possible to fall short on certain vitamins because of the rising issue of nutrition depletion. 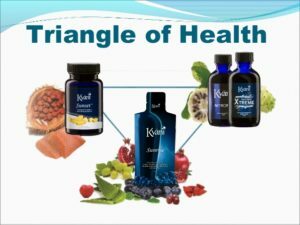 Kyani incorporates both water and fat soluble vitamins into their triangle of health supplements. 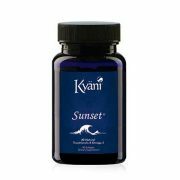 By utilizing a complete range of both fat and water soluble vitamins, Kyani’s supplements help fill in any nutritional gaps left by diet alone. If you want to give your body the balance of vitamins and minerals it deserves place your order today for the triangle of health. Synthetic vs Natural Vitamins: What Is the Difference? Although you may assume your supplements are good for you, not all vitamins are created equal. In fact, the vast majority of vitamins are synthetic. This means they are manufactured instead of coming straight from their natural source. 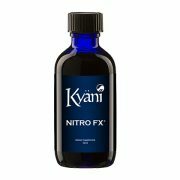 Kyani prides itself on harvesting its ingredients – Wild Alaskan blueberries, noni fruit extract, Wild Alaskan salmon, and more – straight from nature. While natural vitamins come packaged along with enzymes and minerals that help boost their absorption, synthetic vitamins lack these natural components. This decreases their effectiveness and absorption. The body is also far better at recognizing natural vitamins as opposed to synthetic versions. Furthermore, synthetic vitamins lack trace minerals and instead use up the body’s own mineral reserves. This can lead to dangerous mineral deficiencies. Fat soluble vitamins can be particularly dangerous in their synthetic form since they can build up in your tissues faster and lead to toxicity. This is because synthetic versions supply your body with a concentrated dose rather than the amount a food-based form would offer. 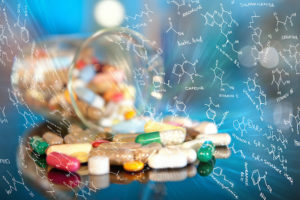 Other toxic ingredients to watch out for in supplements include Monosodium Glutamate, Carnauba wax, Magnesium stearate, and Titanium dioxide. Are Screens doing more damage than you think? 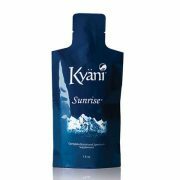 Team Abundance are independent distributors for Kyani. We offer fast, worldwide shipping directly from your country of residence.